All of economics struts around in the body of Andre Russell. When you see Dre Russ in action, you see supply and demand. When there was only Test cricket, there was no need for a batsman like this. Games lasted days, and no one needed to score 48 in 13. As there was no demand for it, there was no supply. What fool would spend hours in the nets practising hitting low full tosses for six with short-arm jabs? Twenty-20 has changed the grammar of the game. As I wrote in my last column, it has changed the balance between resources and constraints. Teams still have 11 players each – but 20 overs instead of 50 or more to get their runs in. This creates urgency. This raises the cost of a dot ball and lowers the cost of a wicket, and batsmen need to attack more. Both batsmen and bowlers confront challenges they don’t face in other forms. Because T20 is now both the most accessible and the most lucrative form of the game, young players care about its demands more than that of the longer forms of the game. Young players today spend more time figuring out how to whack a yorker to the boundary than how to shoulder arms to a swinging ball. Shots that would seem gimmicky and outrageous just 10 years ago are now reflexive to young players, almost a part of the orthodoxy. A new kind of batsman is emerging. 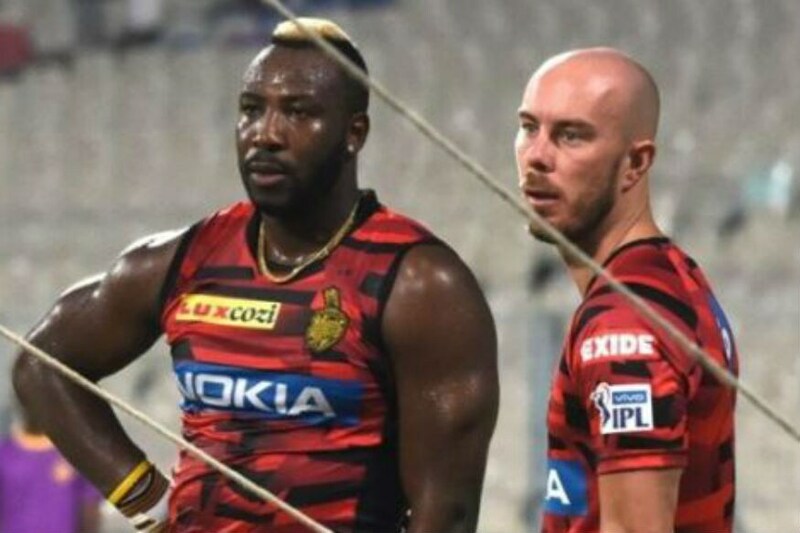 I remember that in the early years of the IPL, we used to refer to the awesome strikers as Manbeasts. 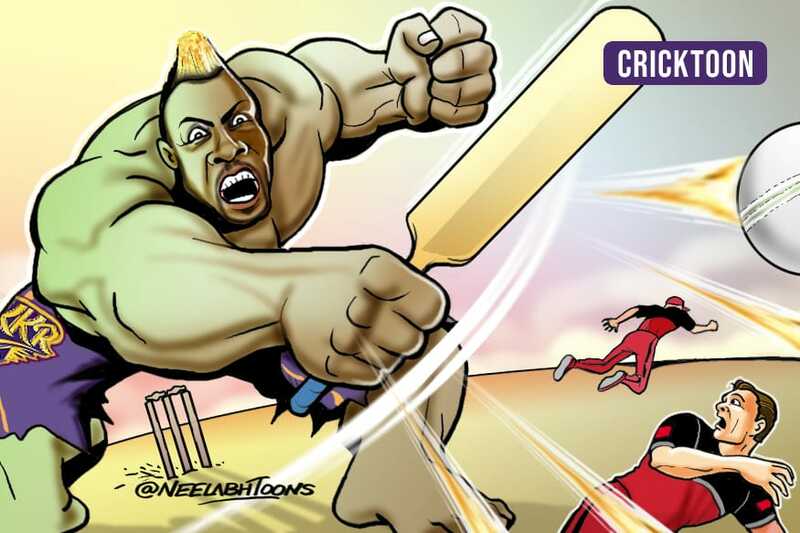 Chris Gayle was the first, and Yusuf Pathan, for a while, was pretty Manbeasty as well. Bloody hell, think of the very first IPL game, and Brendon McCullum’s original sin. We thought it was an aberration then. No doubt people thought on Friday night that Russell’s mad innings was an aberration of sorts as well, the frenetic exception at strike rate 370 that defied the more sedate rule of strike rate 170. I don’t believe it was. There will be many more youngsters watching that game and aspiring to be big-hitter Russell batting at 370 than elegant, correct Kohli batting at 170. And they should, because that is what the game demands. You see younger players through the IPL who get the changed imperatives of the game. Rishabh Pant is a Manbeast in the making, and Delhi Capitals need to get him further up the order. Hardik Pandya can also tee off from ball one: deep in his crease, balanced with a still head, strong arms and stronger intent, he can seem like a wirier Russell at times. These guys still stand out as exceptions – but I predict that in 10 years, there will be more players like them, because there will be more demand for them. Here’s the thing that these IPL teams don’t get: these awesome hitters are being wasted down the order. When you give Dre Russ four overs to bat, you are wasting the 16 overs in which people have played much slower. For a side that has seven quality batsman but one true Manbeast, this is a waste of resources, and the wrong way of thinking about the game. If he makes 48 off 13 at the bottom, he can do it at the top. If he is out for 8 off 4, well, same difference. And it is not as if teams do not get the virtue of attacking at the start, and all the way through – or Frontloading, as I call it. West Indies won the 2016 World T20 doing just this, and England do this today even in ODIs, where they are favourites for the World Cup to come. 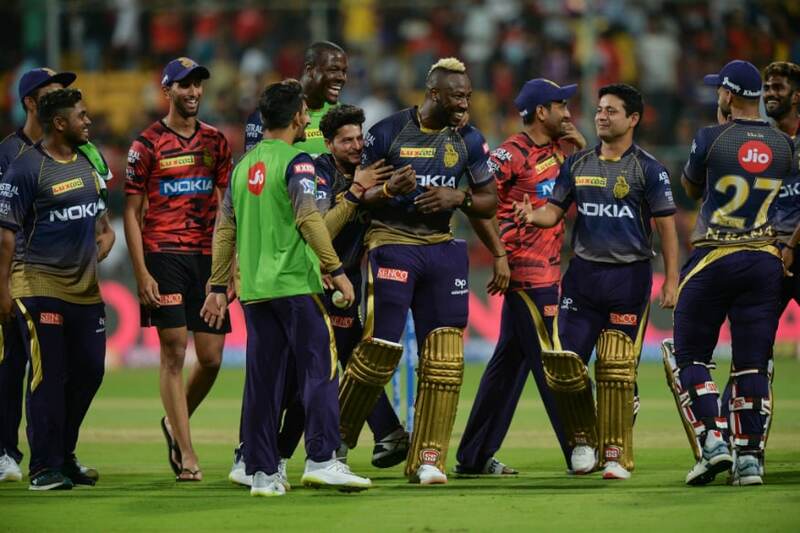 KKR has the batting quality for this – keep steady builder Robin Uthappa at No 7, to steady the innings if wickets fall while hitting, as a failsafe, and tell everyone else to go for it, as if there are three overs left. Gradually, as the demand for Manbeasts increases, more Manbeasts will come forth. That’s supply and demand in action, and it’s a good thing. Manbeasts aren’t blind sloggers. They bring insane skill to the game, and it is glorious to watch. On top of everything else, Andre Russell is a bloody good batsman. (Amit Varma is a writer based in Mumbai. He has been a journalist for 15 years, some of it in cricket journalism as managing editor at Cricinfo. He has won the Bastiat Prize for Journalism twice. He is currently editor of the online journal Pragati, and a columnist for the Times of India).